Knock out competition. Draw lots for who plays who. Winners progress to the next round until only one Manager remains undefeated and takes a knee slide… the others may sulk at will. In case of a draw, the match progresses straight to a penalty shoot out (See Official Rule Book). Become the undisputed Champion with full gloating rights. Every Manager plays every other Manger twice, once at home and once away. The designated home team receives a pool of 5 “Home Advantage Points” to strategically add to any of their players over the course of the whole match. 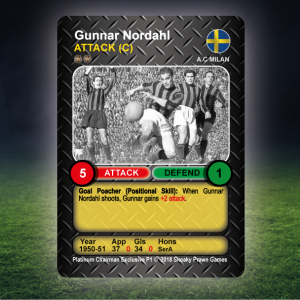 Home Advantage points may be played in attack and/or defence and must be declared at the same time the card is played (coins make good markers). These points are not subject to any other in game bonus e.g Goalkeepers doubling effect. The Manager with the most points is declared Champion. In case of a tie, the Manager with the best goal difference over all the games wins. If still tied then a sudden death match is played, moving to penalties if still tied at full time… Drama! Land the double! Play both Killer Cup and League. NOTE: When playing with 5 or more Managers the “Elite Squad” player draft format of selecting squads is recommended (see Player drafts). The Manager with the worst record or voted the worst Manager (live with it!) selects the first player to join their squad. The second worst goes next, then the third etc… Managers continue to take turns until all players have been selected. Managers are permitted to loby for being the worst or best Manager prior to the start of the pick. Each Manager has £100 to spend. The eldest Manager (for they are wise) selects a player from the pool. Managers then write, in secret, what they bid for that player (all bids must be in round £1’s). The highest bid signs that player to their squad and their £100 is reduced by the appropriate amount for the next round. The second eldest then selects a player etc… and the scramble continues until all the players have been selected or the Managers budgets have been blown. Managers may only sign a maximum of 16 players. Once this limit is reached then, regardless of any budget remaining, that Manager may no longer bid on players. If no bids are made for a player they go into a “Free Transfer” pool. If all the Managers blow their budgets before bids have been made on all the players, the remaining players also join the “Free Transfer” pool. Once biding has concluded, the Manager who has not reached their squad limit (16 players) and has the fewest stars in their squad selects the first Free Transfer to join their squad. The Manager with the second fewest stars goes second etc… until all players are signed and each Manager has a squad of 16 players. A maximum of 16 players (in pairs, 32 cards). 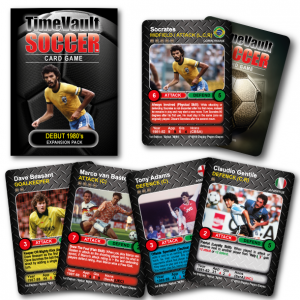 Only one version of any player e.g must not contain both the ’77 and ’82 versions of Claudio Gentile. No more than 26 Stars (Each pair of cards is only counted once i.e Bobby Moore counts as 5 stars NOT 10.). 26 Stars may be distributed as the Manager wishes. Pre-set squads consist of 1 x 5 Star player, 1 x 4 Star player, 1 x 3 Star player, 1 x 2 Star player and 12 x 1 Star players. An “Elite Squad” does not need to follow this structure. You are free to select 10 x 2 Star Players and 6 x 1 Star Players OR any other 26 Star combination. You decide… but it’s your fault when it all turns to custard! Feel the need to throw caution to the wind and lob on that extra attacker to get you that squeaky goal in stoppage time? You may make up to three substitutions during a match. To use subs place up to 5 players on your subs bench (off to the side of playing area) before Kick Off. At the start of your turn, before you play, you may replace a player from your hand (Player off) with one from your bench (Player on). This does not count as your turn but you cannot use the player coming on this turn. Continue play as normal. 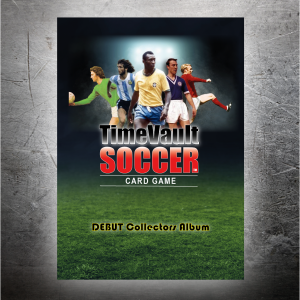 If a substitution is made whilst the second “Player off” card remains unused in your Match Deck, search your Deck and replace this card with a “player on” card, shuffle, cut and return the deck to the play area. 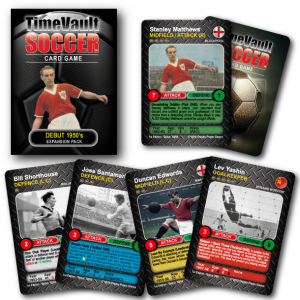 You may sub a player from your hand that is already in play, however only one substitute card can be claimed for the copy in your hand, the copy already in play is discarded with no replacement. You may make multiple substitutions at the same time. 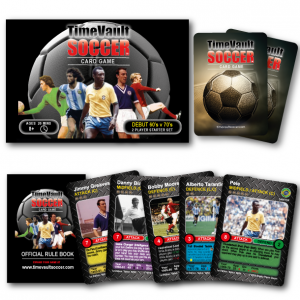 In addition to the basic rule that if a player receives two yellows or one straight red during a match, they are “sent off” and all copies of that player are immediately removed from your Match Deck. When playing relevant multi game formats ( Cup, League or Season) that player is also suspended for the next game and may not be used (even as a sub). Also, when a player accumulates 3 yellow cards, over the course of a number of games, they are suspended for the next game. Their yellow card total is then reset to zero… so keep track of cardage and work that squad! Tip: Keep track of cardage by playing with card protectors (recommended) with a slip of paper inserted in the relevant players protector. Coming soon as part of the 2019 ” Incident Deck” expansion. Coming soon as part of the 2019 “Incident Deck” expansion.